Believe it or not but Blue Man Group has been in New York almost as long as I have. Actually they have a few months on me but who's counting. Now even though we have both been here for over two decades it was only recently that I finally got around to seeing the show. So what took me so long? Well the truth is I had always wanted to see it. I just never got around to it. Plus it wasn't like it was going anywhere anytime soon. So anyway there I sat in the back of the Mezzanine waiting for the show to start. By the way for those of you who might be thinking that the Mezzanine must be far away it is not. In fact the entire theatre only seats two hundred and ninety eight. That means all the seats are great. Finally the show starts and well let's just say it's not like anything I have ever seen. Now if you are looking for a more traditional show this is not it. It is called Blue Man Group for a reason after all. By the way I loved the show and you will too if you see it. Now while I may have decided to sit upstairs there are plenty of places to sit downstairs in the Orchestra. In fact they designate the first five rows in the Orchestra as the "Poncho" section. Why you ask? Because they give you ponchos to wear because there is a good chance you will be hit with debris such as food, water, and yes even paint. Now don't be afraid. It's actually fun from what I've been told by friends who have sat there. Just don't come to the show wearing your Sunday best. 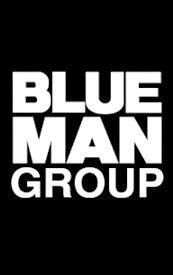 By the way for those of you who still haven't seen the Blue Man Group there is no better time than the present. In fact if you call right now we can get you tickets to see the show at some incredible prices. Get your Blue Man Group tickets today. You will have the time of your life. Until next time theatre fans.